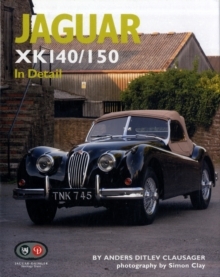 With their strong mechanical elements, solid construction and useful performance, few classic British sports cars are quite so practical to own today as the MGAs built from 1955 to 1962. 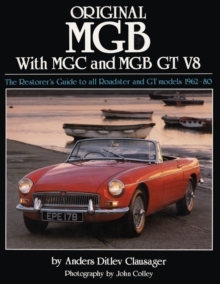 The aim of this book is to show, in words and pictures, how MGAs altered in detail through the course of production, in order to enable owners, enthusiasts and prospective purchasers to identify the parts, finishes and equipment that are correct for their car. 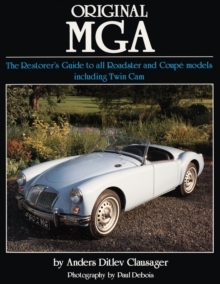 Colour photography of outstanding specimens shows every permutation of MGA specification in remarkable detail. 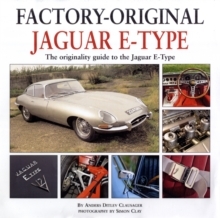 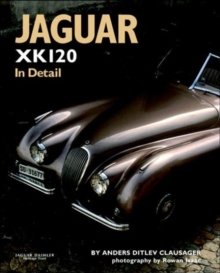 This is a re-issue of one of the most popular titles from the celebrated Original series, accepted by classic car owners, buyers and enthusiasts as the definitive source of advice on correct original and authentic specifications and equipment, drawn from factory records, parts lists and catalogues, as well as the accumulated knowledge of the most respected restorers.